Fascinating — and scary — piece of research reported in the Washington Post. 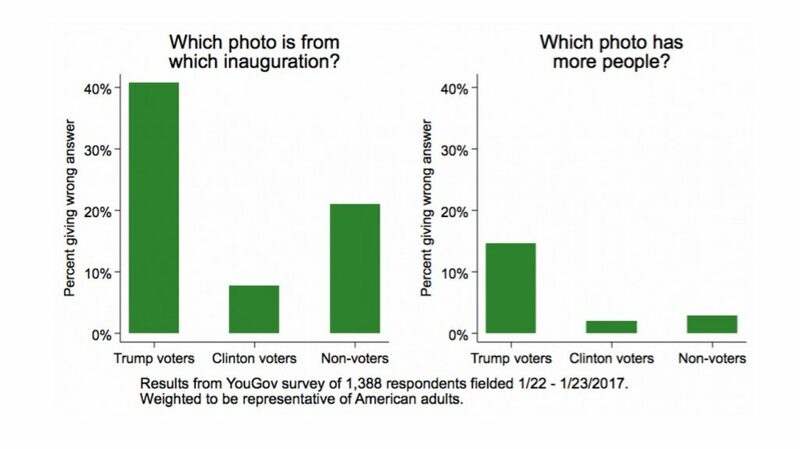 On Sunday and Monday, YouGov surveyed 1,388 American adults. 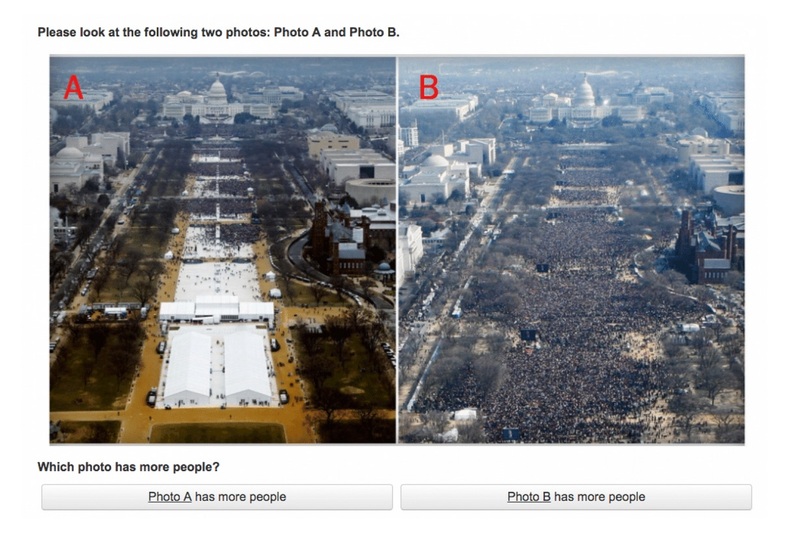 Researchers showed half of them this crowd picture from each inauguration and asked which was from Trump’s inauguration and which was from Obama’s. The other half were simply asked which picture shows more people. Simple, eh? Well, guess what? This entry was posted in Autocracy, Democracy, Politics by jjn1. Bookmark the permalink.